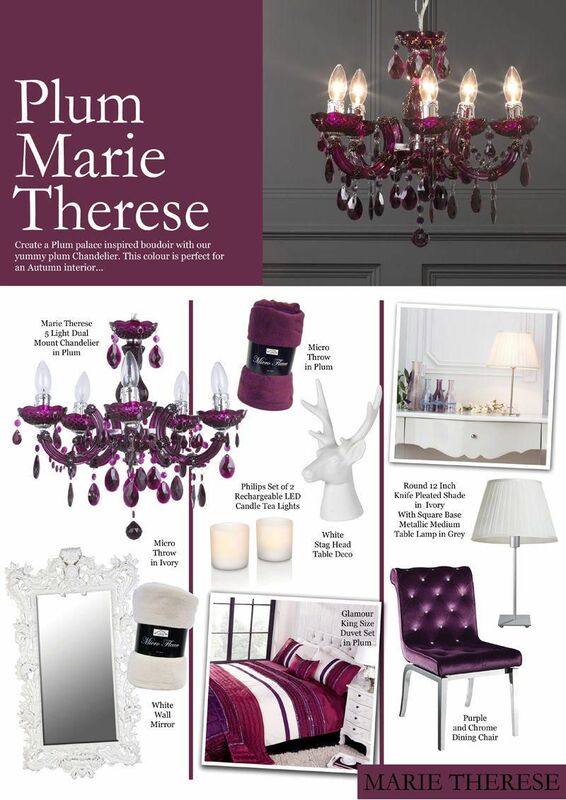 For the annual Litecraft Crystal week we’ve taken a look at our Marie Therese Coloured Chandelier range. Available in Plum, Silver, Black and Multicoloured this range is one of our more contemporary collections. 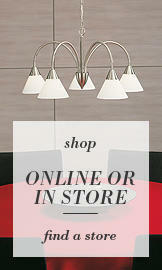 Showcasing cut crystal-effect droplets and carefully cut acrylic sconces on five sturdy acrylic arms. 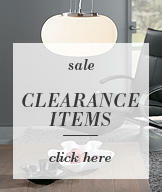 Our Marie Therese Coloured Crystal Chandelier has all the class of the original design but in four on-trend colours. To celebrate the success of this stunning collection we’ve dedicated this week’s blogs to the Marie Therese Coloured Crystal Chandelier fittings and looked at four ways to incorporate the range into your home. From a plush plum boudoir and a sleek, sophisticated lounge to a sultry, moody black dining room and a crazy multicoloured kids space. With Autumn in full swing what better colour to start off with than our Plum option. We headed to the bedroom for our first look book. As the evenings greet us earlier and the nights start to feel a little frostier, there isn’t much else that beats a cosy boudoir. Imagine a steaming hot bath after a long day in the office. Then slipping into your favourite pair of pj’s, collapsing onto your bed and burying yourself amongst a plump duvet. 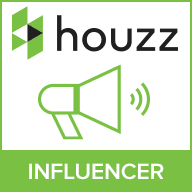 The bedroom is that one place in the home that really needs a little TLC. A cosy layered boudoir will help you relax enough for a perfect nights sleep, so male sure to pick cosy warm colours. 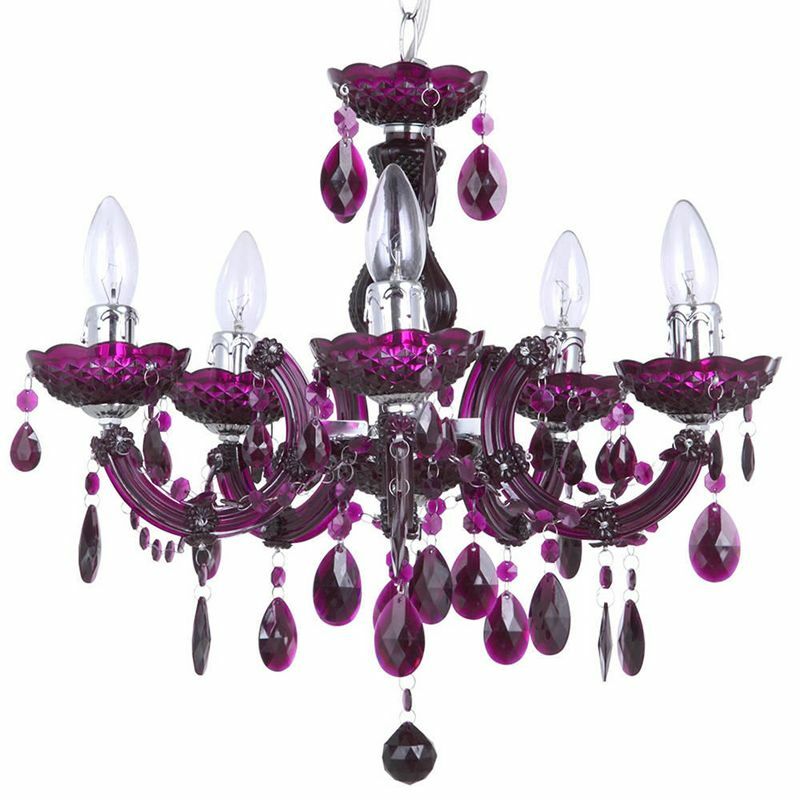 Picking out the yummy plum tones of our Marie Therese 5 Light Dual Mount Crystal Chandelier in Plum and using that as the base colour for a room will give a warm and inviting aura. Try not to go over the top with the strong bold colour. By introducing a more subtle shade such as white or grey you can create depth and contrast which will soften the impact. For our plum boudoir look book we chose our new Glamour King Size Duvet Set in Plum to compliment the coloured Marie Therese. This is a dazzling design of taffeta ruffles and sequin trim on a sheet of plum, purple and fresh white panelling. Plump up the cosiness by introducing warm throws. Our Micro Throws in Plum and Ivory will give additional warmth and coverage. For hints of a more subtle colour and to add contrast and depth we chose to include fresh tones such as ivory and cream. Our new Knife Pleated Shade in Ivory offers a simple addition to any interior. With its reversible gimble this piece can be fitted to an existing lamp base or as a simple ceiling shade. For a soft and sensual glow that will really give your boudoir atmosphere take a look at our new LED Candle Tea Lights. Now you can enjoy the soft and sensual flicker of a candle without using an actual flame. This collection of two tea light LED lights will give the illusion of a natural candle but with an LED rechargeable integrated battery. The white finish will fit well in any surrounding too. We’re in love with these little gadgets and they’ll come in handy when summer comes when you can use them outdoors. Choose either a two pack or a larger three pack option. We completed the look by adding white accessories such as wall mirrors and ornaments as to not overwhelm the interior and also giving layer and depth to the room.